Every organization needs improvement. Every executive needs to perform with velocity and validity. Velocity means right timing. Validity means right area. Over time and travel, it has been my experience that any operation can gain a 25% improvement in costs and performance through some basic approaches. Most don’t believe it. That includes the one that just improved. Yet, most remain semi-productive behind walls of indecision and fear. The language of growth resistance is well documented. We’ve done that before and it didn’t work. So and So would never approve that. You don’t understand MY situation, we are different. Oh, that’s just the article of the week program, we don’t need that. On and on it goes. The language of fear and resistance is pervasive, stifling, entitlement driven, and deadly in the long run. It is valid. Yes, many times each of those statements has been true. That does not make them true in every situation and certainly does not excuse using them to resist thinking creatively and cooperatively to build new solutions fit to present demands. So, let’s explore the first area where an executive, manager, or director can assist so an in-plant can develop greater value for an organization and move from being a cost to a benefit. That is the focus. Get the in-plant into a benefit position for the organization. Eliminating costs is a dreary and sometimes necessary effort. Yet, the real focus is to improve the bottom line. The real need is to broaden the gap between expense and revenue. Every organization has needs for print and related services. The needs vary according to the demands of the recipients of the product or service the organization delivers. The needs vary based on the methods of marketing and sales and support that are in motion and planned. Meeting those needs effectively and efficiently and responsibly with attention to compliance becomes the challenge for the in-plant operation. 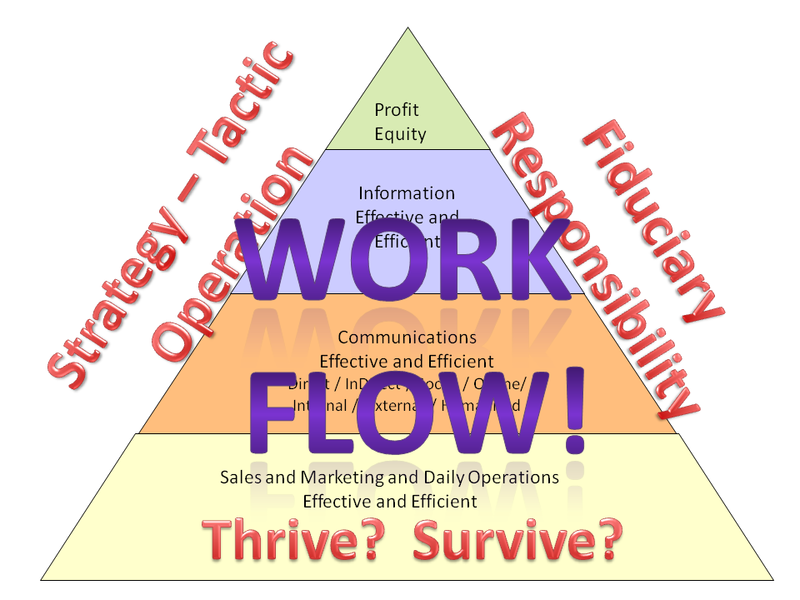 The first stop on improvement is workflow efficiency. This area has been overanalyzed in the industry to the point of becoming high centered in detail approaches. Most plant managers and team members have a great grasp on what could be done to improve efficiency. Most plant managers and team members do not have a great grasp on how that will improve the service for the people needing access and turnaround. There is no reason to simply save time and steps. The need is to gain improvements that return value for people. Loaded in my phone/camera are pictures of many shops located in many settings. There are ten times as many of these in the gallery of photos in my mind. Short ceilings, cramped corners, stacked supplies, dangerous aisles, and overheated equipment plague my mind. Whew! How in the world do we get into these situations? What was that last person thinking when they reduced access to the supplies the operator needs 10 times a shift? It is not usually expensive to resolve some of these items. The human factor becomes the biggest blockade. Convincing people that life can be better and less hectic and reduce costs for the client is the tough road. Trust me. Sometimes a little reorganization of equipment and supplies to fit the workload of the current and planned product production can return dollars in reduced bad runs, faster turns, less utilities, and better uptime on equipment to allow increased volume. Costs go down quickly and morale goes up just as quick. Good morale reduces costs and improves revenue. In a production shop, parties and warm and fuzzy photo moments are not the quickest way to morale improvement. Give a production worker the right tools and the right training and a person to serve and get out of the way. The fastest route to morale improvement is workflow blockage removal. You need to “get ‘er done”. Bring on the orders and allow top performers to serve with excellence. In a healthcare campus, our shop was located next to the morgue. That thought can be quite a downer. One worker complained when a nurse stepped in and asked her to hold a lifeless baby while she finished other arrangements. Whew! Some shops have bigger issues than others. But worse than the morgue was the fact that the equipment was placed badly for heat exhaust and the air temperatures and volumes needed to operate were inadequate. The team was in a constant state of fear a piece of equipment would be impacted and production would slow or halt. No one can be productive living in fear of the unknown. A little creative rerouting of cooling supply arranged by engineering alleviated the heat overload. Some quick rearranging of equipment between 2am and 4am one morning brought more air flow sensibility. An almost no-cost solution gained days a week of equipment uptime and brought pride back to the production team. The doctors and nurses and administrative staff began getting what they needed to do their jobs more effectively for patients. New work requests began to flood the shop as reliability of service returned. Process documentation is not an option. In an insurance group, we discovered there was no integrated production plan understandable by the entire team. Every person on every shift had a different interpretation of how to get the job done, what was priority, and who else was to blame for every issue. No one really knew when work would come out of the shop once it went in. Ten day turnarounds were not uncommon. You probably have worked with groups like this. They are great people buried in an inadequate process built over time and patched together like Frankenstein with each change in organization need and chaos and priority of the day. You are not going to get the full answer in this short article to how we solved this problem. But, I will tell you, it was the team that solved it. I will tell you they began working through point to point touch solutions and tracking. I will tell you they talked to the people receiving their services and included them in prioritization based on business impact not personal departmental preferences. I will tell you it takes executive support. Oh, the team went to 8-72 hour predictable and communicated turnarounds on ten times the volume with the same staffing and equipment levels. You would love to get that wouldn’t you? The cost / benefit impact on company overall services became more than the cost to run the plant. Think this way. The beginning cost was $2000x and the volume was 1000x. The resulting cost was $1001x and the volume was 10,000x. Pent up demand was going to over-sourcers at higher costs. The unseen expense to the organization of many departments having to arrange outside services couple with dollars buried in hidden budget line items was huge. It went away. Rapid workflow benefits your ability to work on the next area. You can’t get buried in workflow improvements. It is just one area needing attention. There is a balance and every area needs attention all the time. Next, we’ll talk about value add. It has to improve. Responsibility, Sustainability and Print; Just a Thought….